She kept coming by the dining room table to finger the project. She would pick it up, feel the laminated fabric, flip it over, and then look at me. "Seriously, who gave you this idea?" Thanks for the vote of confidence, Mom. My Mom is awesome. She is always happy to come and help us when I am overwhelmed with too much stuff (she is an expert purger), when I travel to teach she arrives here to watch the kids and clean my fridge, and when producing A Month of Sundays she came and kept us together during the photoshoot. She cleaned my house and watched the kids and fed us in the most Mommiest of ways, as Kate described it. My Mom, however, has not had the chance to live a creative life. She delivers babies and helps new moms. She is the woman who taught me to sew and I do vividly remember her sewing us clothes and herself a gorgeous winter coat. There may have also been some macrame lessons in there. But that was all a long time ago. So when she looked at this particular project she couldn't imagine how I could have imagined it. She's not alone. I get that question quite frequently. Just where do you get your ideas? There is no easy answer, no one spot to look when I need a project. It just isn't that simple. I immediately went home, sketched a bit, then drafted a pattern. There in lies the first spot I get my ideas: NEED. Identifying a need or a gap in the creative register is sometimes the spark. 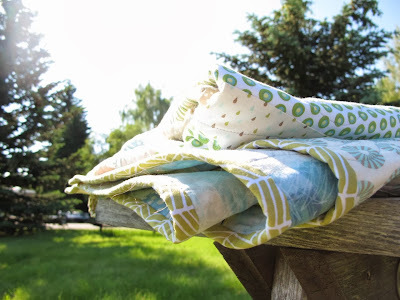 When looking for an answer to a frustration or struggle the solution may be found in your sewing room instead of a product that may or may not exist. 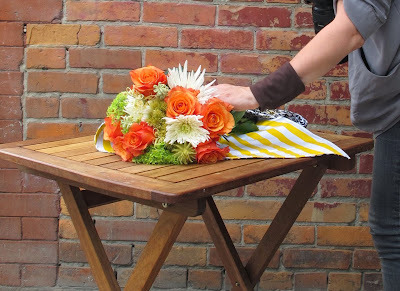 On the day of the photoshoot for the Floral Wrap I took my wrap into the florist and picked out the flowers. When I handed the Floral Wrap the florist she had the same reaction as my Mom. This may be my one moment of genius in life, I better run with it! Other moments of inspiration come from shop windows, like the colours in Hugs and Kisses or the design of Sherbet. Sometimes it is from a need to just take something traditional and do something different, like in Pinwheel. It isn't always a visual that inspires either. I've been inspired by words, stories, or even concepts. You won't always know the moment the idea hits. But if you leave yourself open to it and have a means to capture it - with a sketchbook, a camera, a scrap of paper, a cell phone - then you can hold on to it. 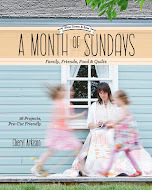 In fact, there is even a section of A Month of Sundays that talks about capturing your inspiration. So when it comes to getting ideas, I think the best advice I've got, and my answer when people ask me just where I got that idea, is that I was simply open to the inspiration. And you do this by embracing creativity and opportunity. It is so easy to get caught up in the minutia of daily life, of motherhood, and even of quilting. Take the time to play, to try something new, to slow down, and the ideas will flow. What will you do today to open up for inspiration? 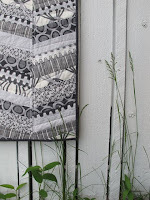 I get a lot of inspiration from browsing through all the fabulous quilting blogs! Such talent and imagination! Wow....you are so blessed to have a wonderful Mom. Cherish her. 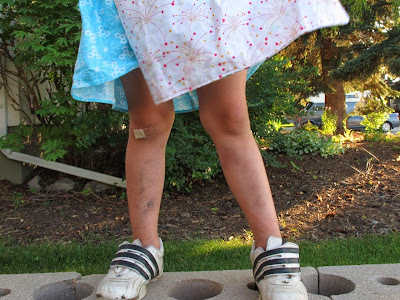 Great post, Cheryl....I agree inspiration can come from the most unexpected places. Well i was just taking some out door pics of the different colours in my yard. It makes me want to make a quilt with all of those colours. And blogs of course. Your "Sunday morning" book. Many of the quilts in there lend themselves nicely to various colour "tweeks". 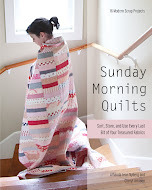 I am currently making the Sunday morning quilt using all reds. I busted my red scraps because they were out of control. It is going to be used over Christmas.Thanks for passing on your inspirations! Isn't that lovely of your mom to help out so kindly when you need her the most !~! She sounds like a doll. Cherish her, I miss my mom some days. 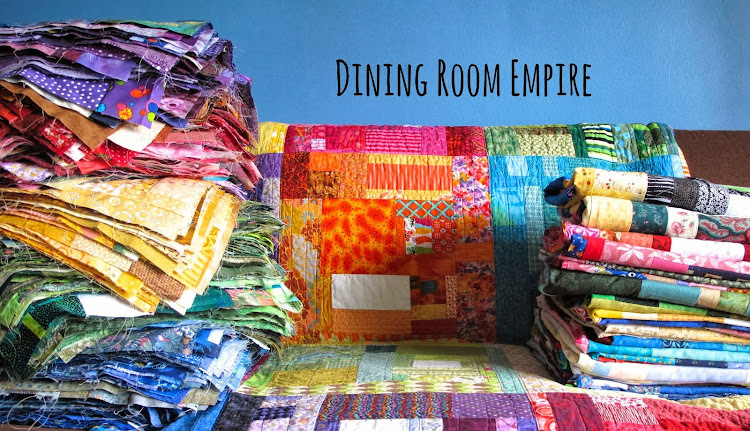 Today I have just been looking around the room and seeing so many colors that it makes me want to start sewing a scrap quilt. My mom is my harshest critic, too. LOL. Hmmmmm, where does my inspiration come from? Well I'm a big copycat so a lot of my inspiration comes from blogs like this one! I loved this floral wrap. It really is an amazing idea! I will be willing to try new things, learning from the process. The end result may not be perfect but in having tried something new, I will gain a lot. Great post Cheryl! Thanks for all your inspiration! Right now, all the fall leaves full of color are inspiration. My grandmother taught me how to sew, she would be so proud.